Written by deanj. Posted on 23 February 2011. Filed under Recipe. Tagged classic, Cuba, Daiquiri, Ernest Hemingway, lime, old school, rum, Teddy Roosevelt. No comments. 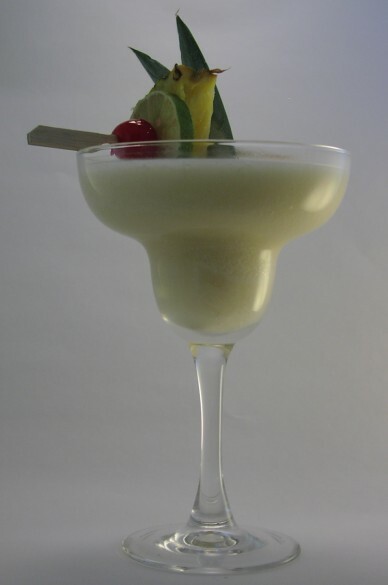 The daiquiri has gotten a bad rap. It’s not supposed to be blended or overly sweet; properly made, a daiquiri is a rich and refreshing combination of lime and light rum. 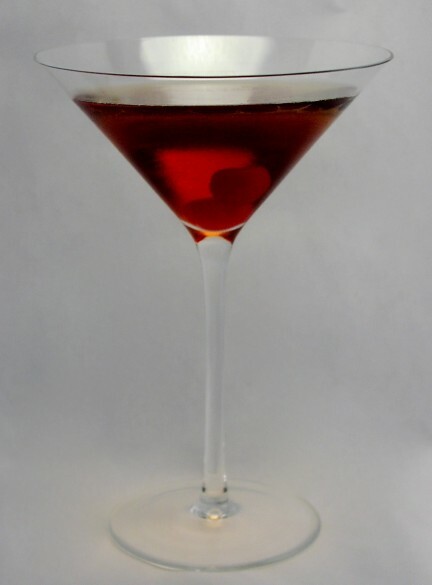 Shake well and strain into a double old fashioned glass filled ⅔ with crushed ice. Garnish with a slice of lime. 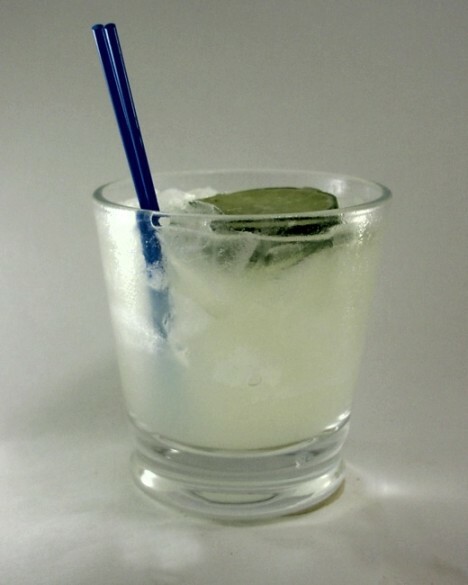 Per the William-Sonoma: The Bar Guide this drink was discovered by Teddy Roosevelt on Daiquiri Beach, Cuba during the Spanish-American War and it was popularized by Ernest Hemingway. Written by deanj. Posted on 22 February 2011. Filed under Recipe. Tagged classic, old school, party, rum, warm weather. No comments. Blend well and serve in chilled glass. 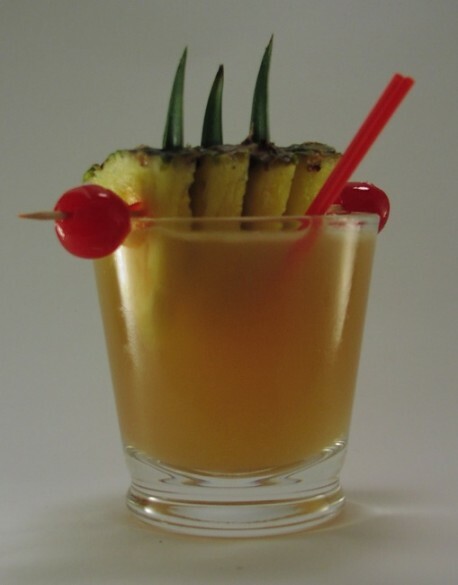 Garnish with pineapple wedge and Maraschino cherry. Margarita Glasses available from Amazon. Written by deanj. Posted on 13 February 2011. Filed under Recipe. Tagged classic, morning cocktail, old school, popular, tomato, vodka. No comments. 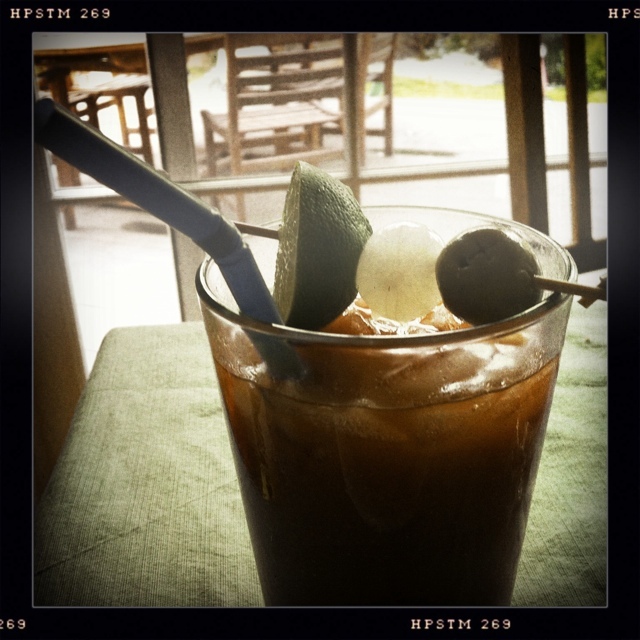 Bloody Marys are a standard at weekend brunches and they’re hard to mess up but as far as I’m concerned this is the recipe to beat. 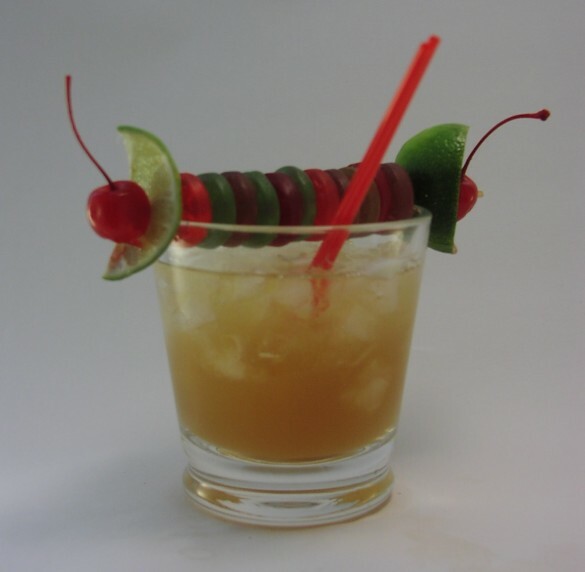 Shake well and strain into a chilled highball glass (the hurricane shown here is impressive as well). Garnish with a stalk of celery and a slice of lime. Grab a Hurricane Glass Set from Amazon. Written by deanj. Posted on 30 October 2010. Filed under Recipe. Tagged classic, Garnir de Trois, martini, old school, quady, triple, vermouth, vodka, vya. 3 Comments. I like to garnish with a skewered olive, cocktail onion and a Tomolive (pickled green tomato). I call it a “Triple” or “Garnir de Trois.” It’s very much worth trying. This martini has what many would consider a shocking quantity of Vermouth but the truth is that most Vermouth tastes awful. Vya Vermouth is made by Quady and is quite lovely. If you sniff your current vermouth it will probably make you gag. Written by deanj. Posted on 9 September 2010. Filed under Recipe. Tagged bourbon, classic, maker's mark, manhattan, old school, whiskey. No comments. 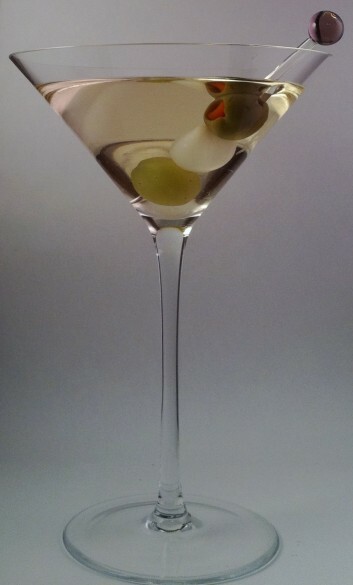 Strain the mixture into a chilled martini glass.